Training Yourself to Illustrate Children's Books is Simple: Study at the Feet of Masters. For some time, I've wanted to simply write and illustrate children's books. The trick is how to do this. You can find books and books on how to draw, and what good book illustrations consist of. I made up my mind to simply drop all the other interesting things I'd been doing in favor of simply doing more of what I was interested in and had always known I was heading for - one day. Getting financial freedom from a home business and being frugal, I was set. No worries from here on out. Potter’s artistic and literary interests were deeply influenced by fairies, fairy tales and fantasy. She was a student of the classic fairy tales of Western Europe. As well as stories from the Old Testament, John Bunyan's The Pilgrim's Progress and Harriet Beecher Stowe's Uncle Tom's Cabin, she grew up with Aesop's Fables, the fairy tales of the Brothers Grimm and Hans Christian Andersen, Charles Kingsley's The Water Babies, the folk tales and mythology of Scotland, the German Romantics, Shakespeare, and the romances of Sir Walter Scott. As a young child, before the age of eight, Edward Lear's Book of Nonsense, including the much loved The Owl and the Pussycat, and Lewis Carroll's Alice in Wonderland had made their impression, although she later said of Alice that she was more interested in Tenniel's illustrations than what they were about. 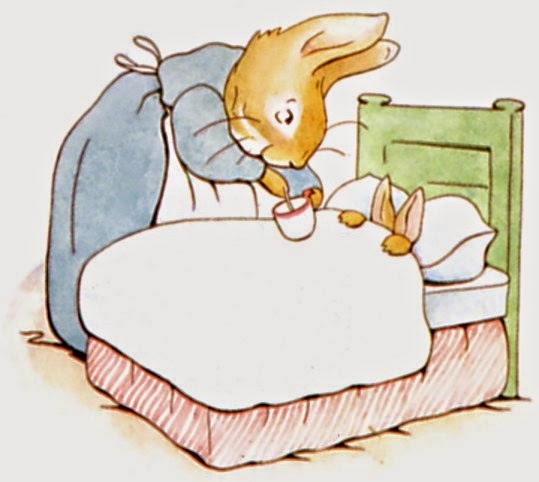 The Brer Rabbit stories of Joel Chandler Harris had been family favourites, and she later studied his Uncle Remus stories and illustrated them. She studied book illustration from a young age and developed her own tastes, but the work of the picture book triumvirate Walter Crane, Kate Greenaway and Randolph Caldecott, the last an illustrator whose work was later collected by her father, was a great influence. When she started to illustrate, she chose first the traditional rhymes and stories, "Cinderella", "Sleeping Beauty", "Ali Baba and the Forty Thieves", "Puss-in-boots", and "Red Riding Hood". But most often her illustrations were fantasies featuring her own pets: mice, rabbits, kittens, and guinea pigs. 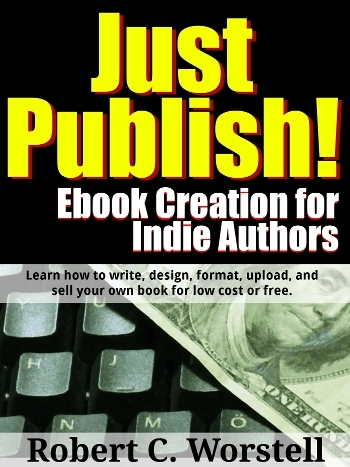 Since my home business has been republishing public domain books, it's a simple way to get these books paying for my education. Along with the art, I'll study the texts for style. Of course, there's a business plan which goes along with making that pay its own way - and that's another story. I'm sure people will want these as ebooks for their tablets as well as hardcopy books to have and hold. Once I master the arts involved, there is a near infinite supply of legends and stories to inspire children's versions. Start with some native talent and some art training of any type. Study only successful artists in the genre you want to succeed in. Focus on that one "burning desire" to succeed, and you'll make it. 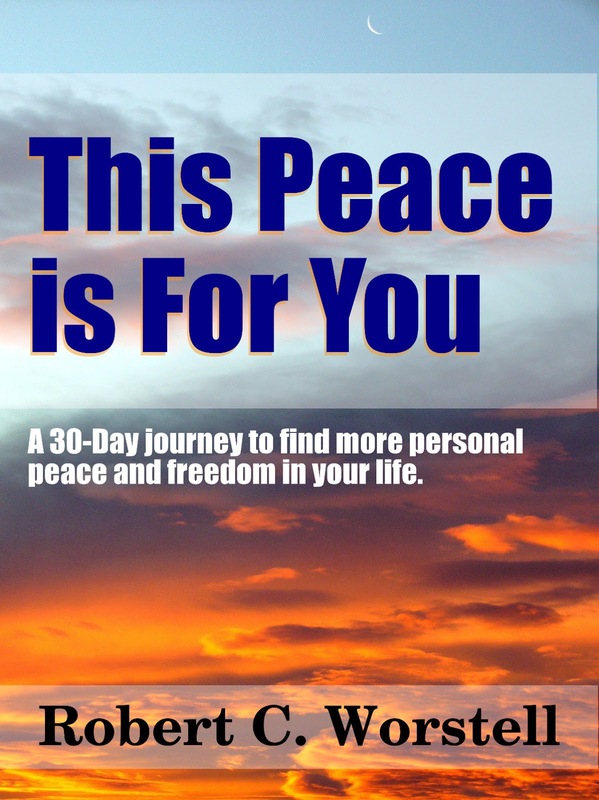 "This Peace is For You - A 30-day journey to find more personal peace and freedom in your life." These wise words from Napoleon Hill come from much older, very common observations of natural law. It's been written many ways, the Golden Rule being one of the most known – but this principle is found in one version or another in all the major philophies, religions, and belief-systems across this wide world, throughout history. If you want more peace in your life, the first thing to do is to give away 10 copies of this book. Seriously. Because you can't get without giving. If you want peace for yourself, you're going to have to give the chance to others. And in this very turbulent, information-saturated world – every one of your friends and acquaintances will need all the chances they can get. The second thing to do is to set some time aside daily, and study one chapter each day (at least once.) Consider what you studied just before droppign off to sleep. In the morning, consider it again before rising. Wake up a little earlier than usual to give you the time you need. At the end of 30 days, you'll have considered new data which has helped you develop ways for peace in your life. That's what this book has been developed for – just to bring you the tools you need to enhance your native ability to generate your own peace. The point of this book is to create a movement which envelopes the world. 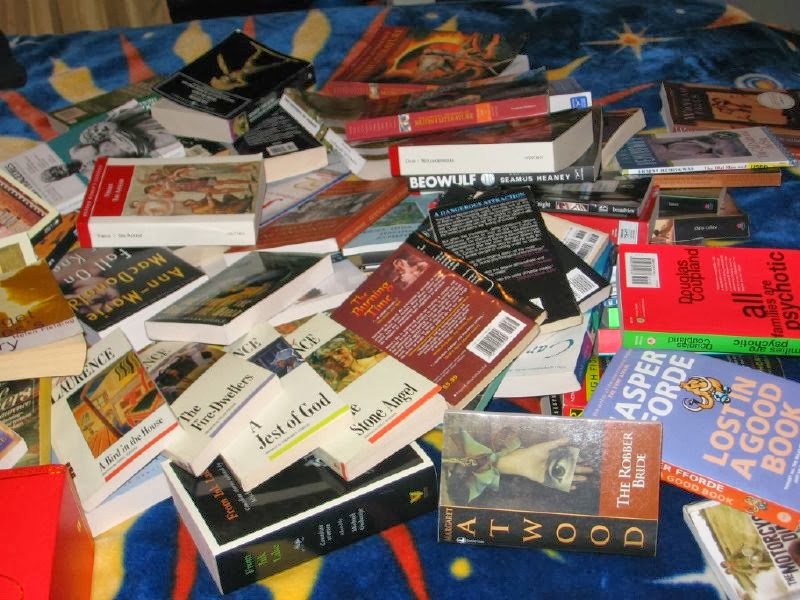 If everyone gave 10 books away, it would quickly spread exponentially to all people everywhere. When just a small percentage of the world's population is enabled to generate and stay at peace all the time, then a permanent World Peace will form. Already, despite the news' agencies, terrorists, and dictator's best efforts, we have more peace now than ever before. Let's make the entire world safe for everyone in it. Pass this around freely. There are business books applying its lessons to office politics and corporate strategy. Many Japanese companies make the book required reading for their key executives. The book is also popular among Western business management, who have turned to it for inspiration and advice on how to succeed in competitive business situations. It has also been applied to the field of education. The Art of War has been the subject of law books and legal articles on the trial process, including negotiation tactics and trial strategy. 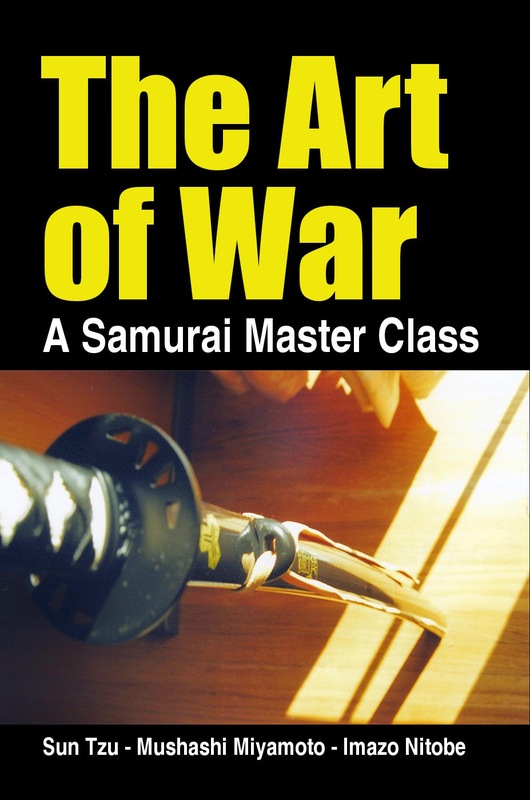 This book is entitled The Art of War, A Samurai Master Class, as two additional classics, “The Book of Five Rings” and “Bushido, the Soul of Japan” have been included. No study of this period would be complete without understanding the strategies, tactics, and ethics of the Samurai. All of us have our journey to follow. For some, we could use this persona to make our decisions more wisely, to resolve conflicts as we move though life. In this, the Art of War can become the Way of Peace. In any day and age, having an ethical code to live by, while also utilizing a strategy and tactics tool-set which has been proved over centuries of application – these seem to point out a road many can travel on their own. In that spirit, this book is humbly presented for your use. Sun Tzu (d. 496 BC) first published "The Art of War" around 512 BC. this version based on the translation of 1910 by Lionel Giles. Miyamoto Mushashi (d. 1645) first published "The Book of Five Rings" in about 1645, this version's translator is unknown, while recognized as public domain. Inazo Nitobe (d. 1933) first published "Bushido, the Soul of Japan" in 1899 in English. Bestseller Fiction Classics deserve better. That's why we've been updating them for you with new covers and decent descriptions. This all started as a program to enable writers to learn from the classics and so improve their own craft. However, it's popular support has broadened the scope to include the top 100 (or so) all-time popular classic fiction (and a few non-fiction) to enable any writer (or reader) to study from history's greatest. What we found is that these books - now in the public domain - have been given short shrift, with boring covers, cheap-quality printing, and poor (also boring) descriptions that don't communicate the excitement the millions of readers have shared over the years. And the ebook versions are mostly some sort of machine-code scene, with no table of contents and sometimes other horrible errors. Sure, they're free - but "you get what you pay for" has never been truer. So I started this campaign with a couple dozen books, just to see how they do - and now have committed to doing a full release for over 100 books. This will mean they get proper reviews, their own page on a respectful website, and ways you can find any version of these classics that you want - hardback or digital - all with some care to the reader, and respect for the original author and his works. I just wanted to drop you a note to say I'm working on this. Eventually, they'll all wind up in a catalog that you can download (for free) and so have access to all these versions. The great part is that they don't have to cost an incredible amount to get the best quality possible.